by AP -- French President Emmanuel Macron on Monday leveled a remarkable criticism of two Russian media outlets — with Russian President Vladimir Putin standing by his side. Macron, at a joint news conference with Putin in Paris, was asked by a reporter about his refusal to allow access at his campaign headquarters to some Russian outlets. Macron, whose campaign was the target of a massive cyberattack just before his election victory last month that cybersecurity firms have traced to Russian operatives, accused Russia Today and Sputnik of spreading misinformation. "Russia Today and Sputnik have been influential outlets which at several times have spoken mistruths about me and my campaign," Macron said, according to an English translation. "And that's why they were not invited to my headquarters. All media outlets, including Russian ones, have had access to my campaign. Relationships are always the same." "So it was serious that foreign media outlets interfered by saying serious mistruths during a Democratic campaign. And I will not give into that in any way," he added. "But Russia Today and Sputnik have not behaved as media outlets and journalists, but behaved as organs of influence, propaganda, and false propaganda." 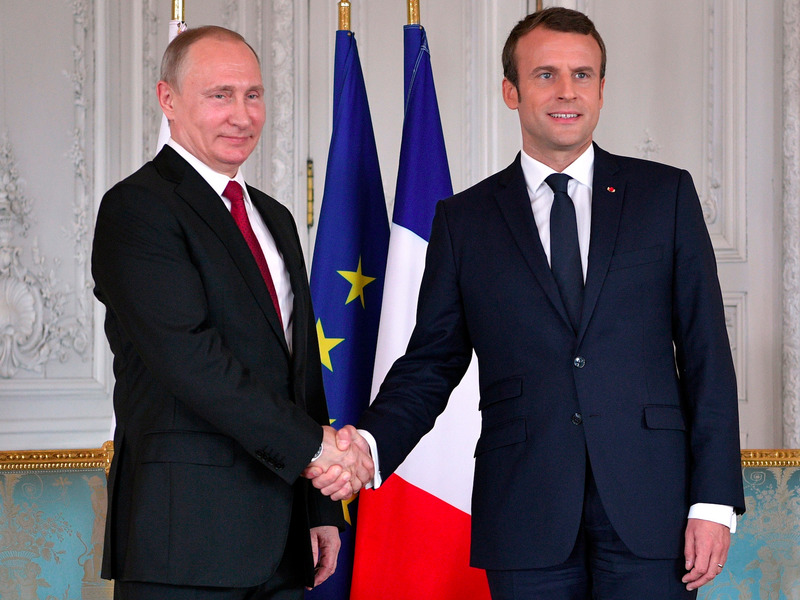 At the news conference, Putin said he and Macron had not discussed the topic of election meddling, but rejected allegations that Russia attempted to influence France's vote. He also defended his preelection meeting with Marine Le Pen, Macron's chief rival in France's campaign. Putin said it would have been strange not to hold a meeting with a candidate who had expressed warming relations with Russia. By Naharnet - The upcoming parliamentary elections will apparently be held under a new law based on proportional representation, media reports said on Sunday. "The only remaining obstacle is the demand to move some Christian seats across some districts,” al-Mustaqbal newspaper said. “It has become known that President Michel Aoun in agreement with Prime Minister Saad Hariri is inclined to sign a decree opening an extraordinary legislative session... and Speaker Nabih Berri yesterday announced the postponement of Monday's session to June 5 in a step that observers say is aimed at confirming the optimism that is engulfing the electoral discussions,” the daily added. Al-Mustaqbal said the last hours witnessed an agreement in principle on the format of the new law. “The 15-electorate format is making headway and an agreement has been reached on counting votes for preferred candidates in each of the current 26 administrative districts,” the daily added. It said the electoral districts will be three in the Bekaa, three in the South, four in Mount Lebanon, three in the North and two in Beirut. 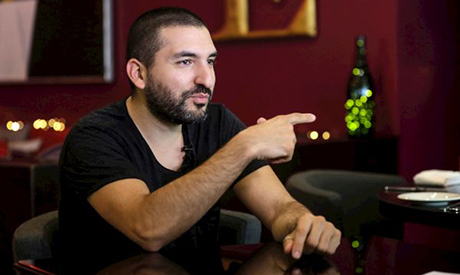 For star trumpeter Ibrahim Maalouf, famed for his award-winning film soundtracks and jazz-inspired mixing of eastern and western sounds, improvisation is "a way of life". "Improvisation is a discipline that people don't understand well," the Franco-Lebanese musician, who has played with Sting and Elvis Costello among others, told AFP. "For me it symbolises and sums up perfectly the best way to live, alongside each other," he said during a trip to Lebanon to prepare for a July concert at a festival in Baalbek. "To succeed in communicating with each other we must listen to each other and have empathy with others, despite the differences." The 36-year-old, born in Lebanon, fled with his parents -- both musicians -- during the country's 15-year-civil war and settled in France. He plays a four-pistoned instrument invented by his trumpeter father in the 1960s, as well playing the piano, composing and teaching.He won French cinema's highest award, a Cesar, in February for the music to "In the Forests of Siberia". He also wrote the score for Japanese director Naomi Kawase's "Radiance" which was nominated for a Palme d'Or at this month's Cannes film festival. Composition aside, Maalouf has a passion for the spontaneous. He is the artistic director of m'IMPROvise, a June festival in Etampes near Paris, with Quincy Jones' protege, pianist Alfredo Rodriguez, topping the line-up. He has gathered hundreds of people for joint improvisations, including at the 2015 Fete de la Musique in Paris. "To improvise with others is to share a unique moment that will never happen twice," he said. Nephew of leading Lebanese writer Amin Maalouf, a member of the Academie Francaise, the trumpeter says he does not try to make his music popular. BEIRUT: The family of a Lebanese man detained in Iran since 2015 have held talks with several Lebanese officials to press for his release. 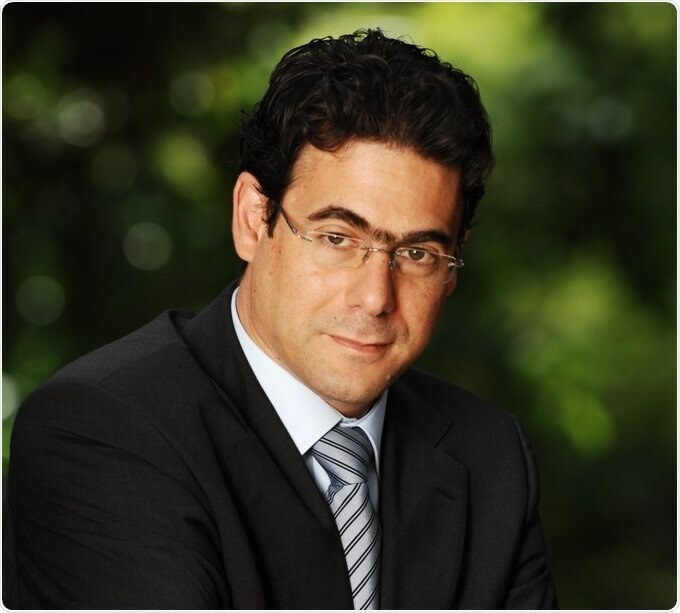 A statement issued by the family’s lawyer Antoine Abu Dib on behalf of the family on Sunday said that Justice Minister Salim Jreissati is following up on the case of Nizar Zakka. Zakka's family had met with Jreissati seeking his help to release the man “who is unjustly detained in Iran." The statement said that Jreissati revealed during the meeting that he has been following up on the case since he assumed his post, pledging to end the case as soon as possible. The statement, which was carried by the National News Agency, said that the family had also met President Michel Aoun and handed him an oral message from Zakka. They also met with General Security head Maj. Gen. Abbas Ibrahim, who gave the family “serious reassurances” about the case. Zakka is serving a 10-year prison sentence and faces a $4.2 million fine after a closed-door trial.Zakka, a resident of the U.S. at the time of his arrest, led the Arab ICT Organization, or IJMA3, an industry consortium.He had been invited to attend a conference in Iran on economic opportunity.He disappeared on Sept. 18, 2015. Several weeks later, Iranian state television reported he was in custody, charged with cooperating with the U.S. government. by news-medical.net UK Lebanon Tech Hub (UKLTH) announced today that it will fund the research and development of ediamond (Electromagnetic Diabetes Monitoring Device): a one of its kind non-invasive blood glucose-monitoring device, which is being developed by the Maroun Semaan faculty of Engineering and Architecture and the Faculty of Medicine at the American University of Beirut (AUB). The UK Lebanon Tech Hub (UKLTH) is a joint initiative by Banque du Liban, Lebanon’s Central Bank, and the UK Government through the British Embassy in Beirut. It aims to support the growth of the Lebanese knowledge economy through an International Research Centre, which was recently given £2.5 million funding from the British Government. ediamond is a continuous glucose monitoring wearable device that will enable diabetic patients to check their glucose levels without needing to come into contact with their blood stream, i.e. through conventional methods such as repeatedly pricking their finger with a needle throughout the day. The lead investigators of ediamond are Dr. Joseph Costantine and Dr. Rouwaida Kanj from the Maroun Semaan Faculty of Engineering and Architecture, and Dr. Assaad Eid from the Faculty of Medicine. As the weather heats up, the Lebanese people have turned their eyes to the upcoming summer season, earnestly planning their next grand escape. Whether potential travelers take matters in their own hands and book through an international or local online travel agency, or whether they consult with one of the many travel businesses in Lebanon, one thing is for sure: the busiest period for many of the country’s travel agents is upon us. With school children off for the summer, and employees’ productivity challenged by the long warm days, it is no wonder that around 60 percent of outbound tourism trips are scheduled between mid-June and mid-September, according to travel agencies interviewed for this article. “We cater to the holiday travelers, and the bulk of our work is in the summer – we don’t cater a lot to business travelers,” says Elie Nakhal, general manager of the travel agency Nakhal. For many Lebanese, the summer getaway is the only vacation they take all year and is, therefore, perceived as a reward for their hard work, according to Charbel Kahaleh, head of marketing and communications at Kurban Travel. Travelers take many factors into careful consideration when planning for that all-important holiday, the most important being proximity, ease of access, price and activities at the destination, according to those interviewed by Executive. When traveling for a short getaway (the average summer trip is for up to seven days according to those interviewed for the article) it is very important not to squander precious time in airports waiting for connecting flights. Indeed, ease of access to a destination through a direct flight is a strong indicator of the location’s popularity among summer leisure travelers. While certain locales may be attractive in their own right, a lack of direct flights can affect their success. “Past experience has shown us that good flight connectivity and easy access can significantly increase the destination awareness to the leisure travelers. The uncomfortable flight connection from Beirut to Thessaloniki is not an ally in our effort to showcase our luxury resort group, and the unique destination of northern Greece and Halkidiki to the Lebanese travelers,” explains Periklis Gompakis, senior market development manager at Sani Resort, adding that they counteract that issue by putting in extra effort into marketing Halkidiki to the Middle Eastern market through industry fairs, press trips and joint activities with their travel partners in the region. by AP - At least 26 Coptic Christians have reportedly been killed by gunmen in Egypt. The Christians were travelling by bus to a monastery when they were attacked. Many of those killed were children, according to the New York Times. Health officials said that the attack happened on Friday while the bus was travelling on the road to the St Samuel Monastery in the Minya governorate, about 220 kilometres, or about 140 miles, south of the Egyptian capital. The health ministry has said there were between eight and 10 attackers dressed in military uniforms, according to witnesses. Khaled Mogahed, the health ministry spokesman, said that the death toll had reached 26 but feared it could rise further. According to Copts United news portal, only three children survived the attack. Arab television stations showed images of a damaged bus along a roadside, many of its windows shattered. Ambulances were parked around it as bodies lay on the ground, covered with black plastic sheets. Though no one immediately claimed responsibility for the attack, it had all the hallmarks of Egypt’s Islamic State affiliate. Egypt has seen a wave of attacks on its Christians, including twin suicide bombings in April and another attack in December on a Cairo church that left over 75 people dead and scores wounded. The Islamic State group in Egypt claimed responsibility for them and vowed more attacks.